I wrote about 24,000 words, came up with four more as a title after much talking with friends, and slaved over eight others to be the subtitle. I have a manuscript that has been edited multiple times by friends and a professional. I have an absolutely beautiful cover that a talented graphic designer friend designed with very little input from me. 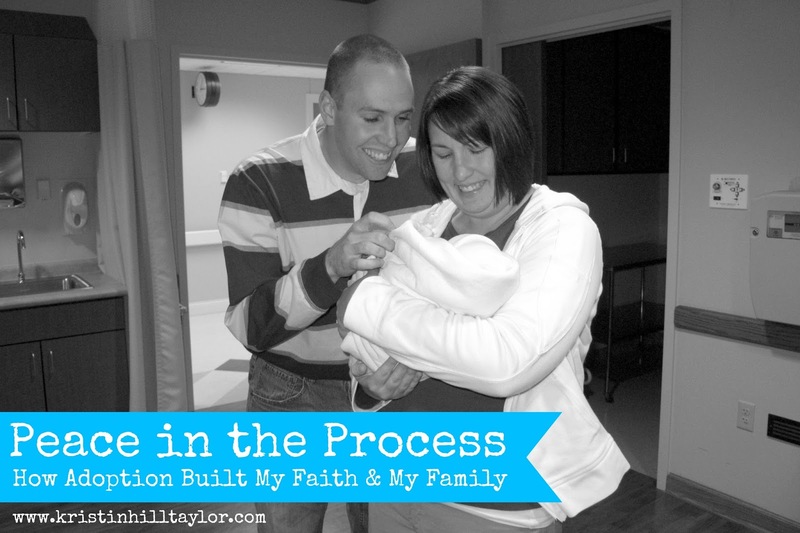 “Peace in the Process: How Adoption Built My Faith & My Family” is the story of God’s faithfulness through a season of infertility, two adoption processes, and the days since. Through it all, I learned God hears the desires of our hearts, even when the words of our prayers don’t truly capture them. How God made our family has long been my favorite story to tell, so I’m thrilled to share it from beginning to end as a testimony to God’s faithfulness. Yes, it’s about how infertility was hard and adoption was a gift from God, but it’s also about the bravery of two birth moms and how God teaches so many lessons while we wait. In mid-October, I’m going to release a self-published ebook on Amazon. Writing has long been my therapy, but making this book happen has taken more than my words. What encouragement from the One who wrote the story I’m getting ready to share with the world! I’m grateful for people who have and will come along side me to share about what God has done. 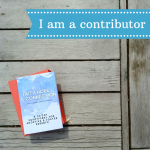 Some dear friends – both ones from my real, everyday life and ones from the bigger, online writing world – have said they will help spread my story. I’d love for some others to join me too. Here’s the short version of what being part of my launch team means: I’ll give you a PDF version of my book at the beginning of September. 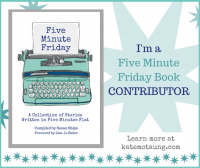 You’ll read it and then help me promote the book starting Oct. 15 with status updates, tweets, pictures, and reviews. You don’t have to be a blogger. 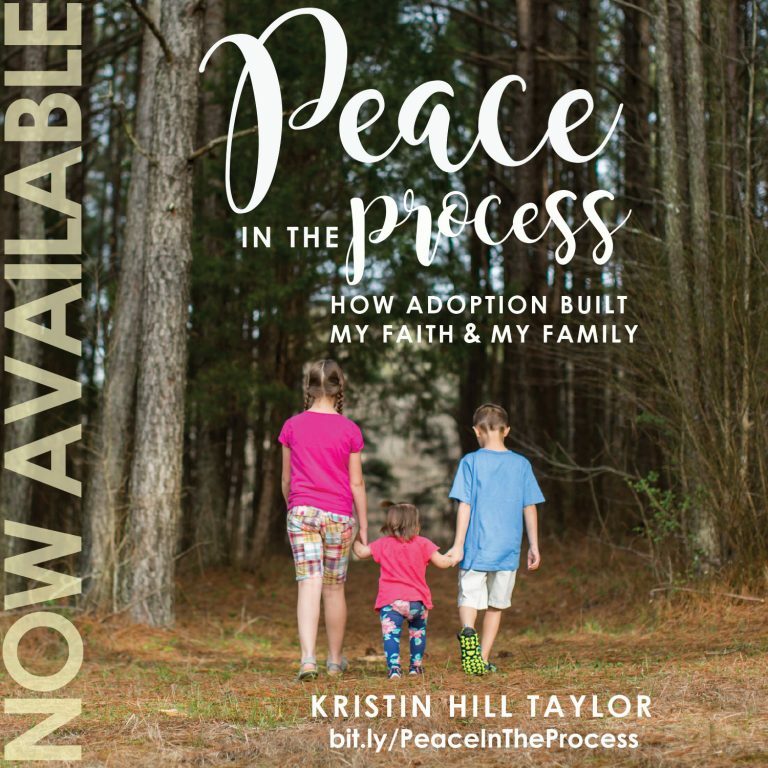 But if you are a blogger, I’d be happy to guest post at your place and/or would love to have you share a review of “Peace in the Process” sometime starting Oct. 15 and continuing throughout November, which is National Adoption Awareness Month. If you’re interested in joining Peace in the Process :: The Launch, let me know either in the comments below or by emailing me at kristinhilltaylor (at) gmail (dot) com. I’ll give you more details and add you to the private Facebook group that will keep us connected the next few months. Otherwise, stay tuned for purchasing information and some fun giveaways coming in October. So thankful for your encouragement in this … and life, Beth! I treasure your friendship. Love you! I'd love to be part of your launch team! Awesome, Shelley! I'm adding you to the group. Yay! So glad you'll be part of this, Satin! I added you to the Facebook group I started for the launch. I'll distribute the book and information there so stay tuned!